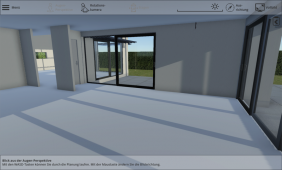 ArchVizViewer presents architecture models interactively and allows comments to be exchanged between the architect and the builders via a comment function. In the future, you as an architect will offer your clients the freedom to try out their current planning at home on the sofa or at the desk and provide comments. The notes then appear directly in the 3D model. There is also a daylight simulation that shows the building at all times of the day. In this way, the light and shadow incidence can be continuously displayed throughout the day. The building orientation is also infinitely possible. The software runs on popular PCs and MACs in the browser as well as on mobile devices as an app. Get it here: iOS-AppStore, Android-AppStore or try the Websie version. It's not about high-gloss renderings that take 30 minutes or more to calculate, but an interactive 3D rendering - a "virtual world". We render 30 frames per second and more! You can run directly through your planning and are therefore not limited to individual perspectives and locations. However, if you are looking for architectural renderings or want to make the same high quality demands of renderings on this real-time visualization, then this software is not the right choice. 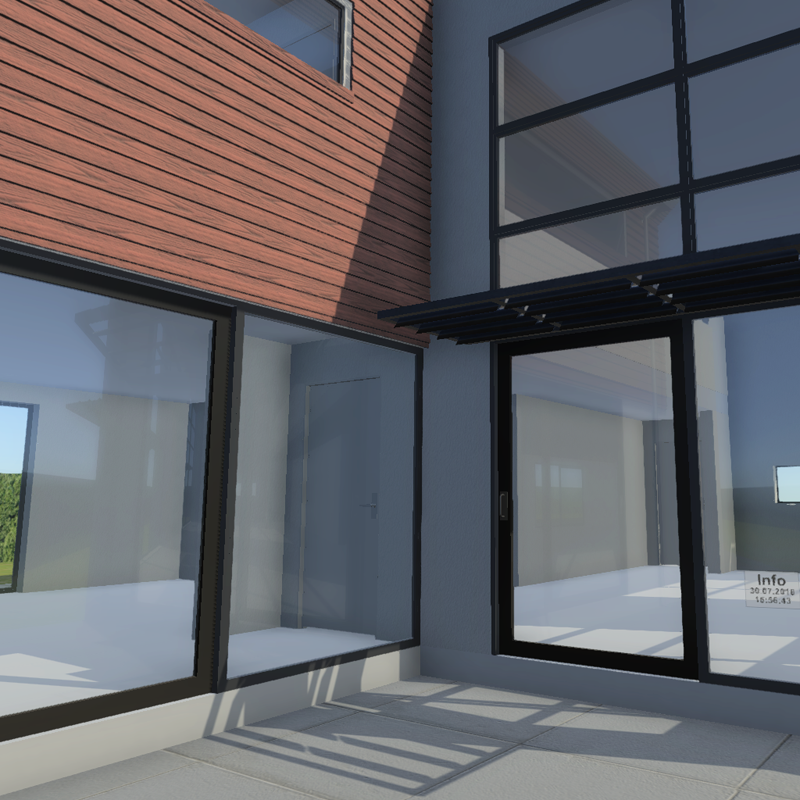 However, the real-time approach allows for interactive features that are not possible with renderings. 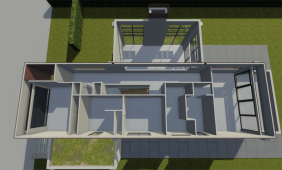 First and foremost, the ArchVizViewer is a tool for architects and their builders. Prefab producers can also use this interactive display as a sales tool. 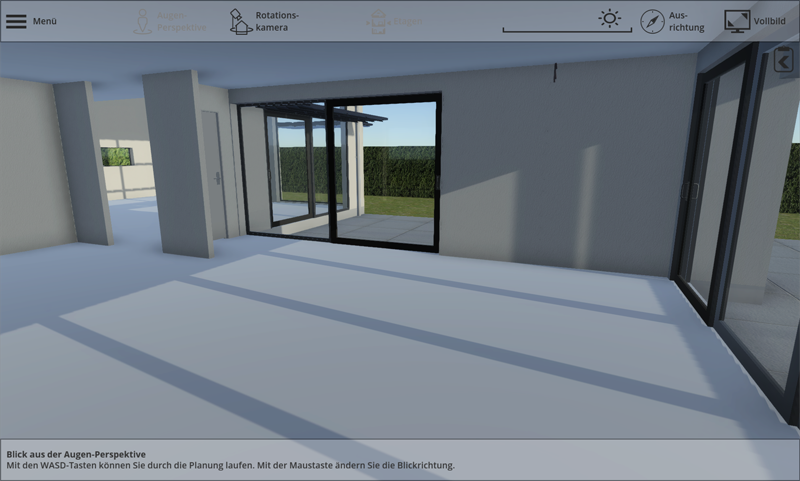 Interior architects and room planners with the ArchVizViewer have the opportunity to display interiors as well. There are the same advantages as the architect: they open up a digital interactive feedback channel to your customers. The architect creates a model. 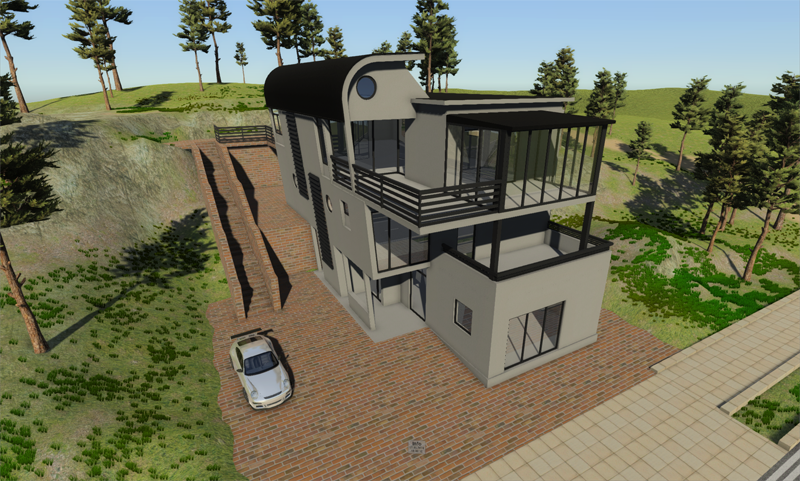 The model is exported from the architecture planning software (further information on data export). The exported model is prepared so that our application can render the model interactive. 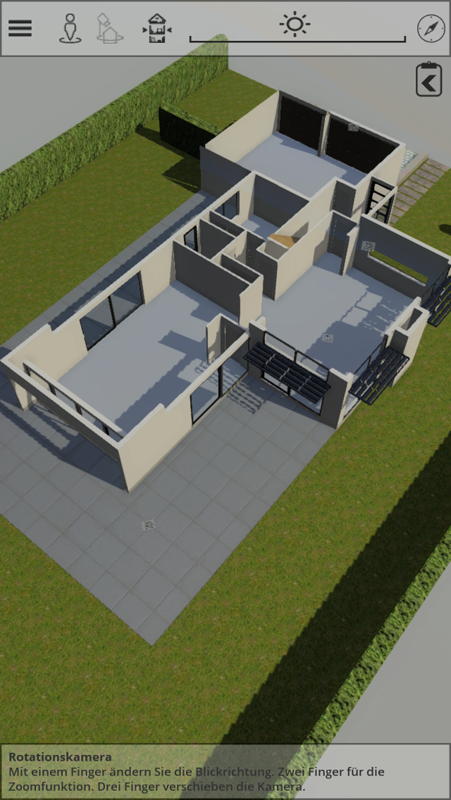 Once the preparation is completed, the required project ID will be provided to the architect with the invoice. The 3D visualization is available now. The project ID is handed over to the client and the application is presented. 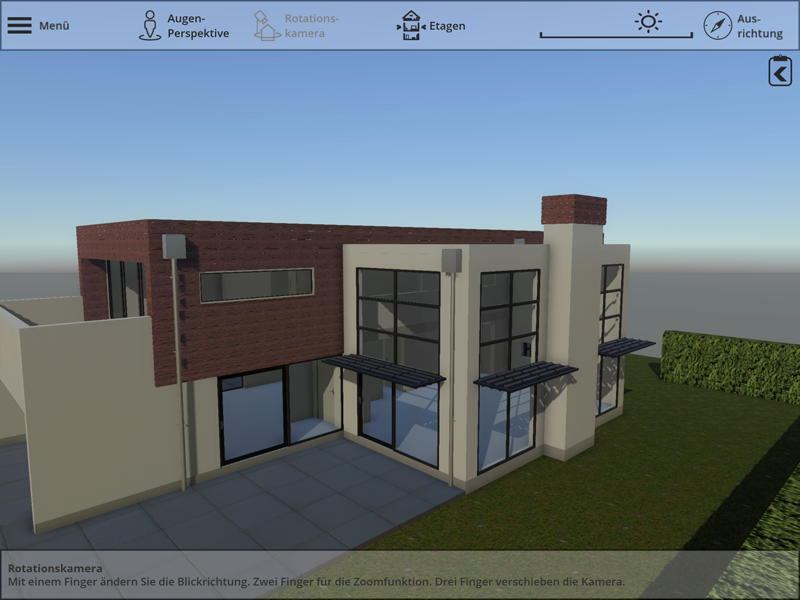 The client now has direct access to the interactive architecture model via the project ID. The client can leave comments directly in the model with comments / change requests. The architect can access the comments and, if necessary, adjust the model. Do you have questions about the ArchVizViewer?